Make a statement in this gorgeous Yellow Crochet Dress! This delightful bright dress is an ..
No womens wardrobe is complete without a silk dress and this abstract printed number certainly ticks..
Every woman needs a formal dress in her wardrobe, and this elegant antique gold finish and sky blue .. This hand embroidered beaded pink tulip dress features amazing stone work comprised of individually .. This beautiful lightweight silk dress boats an enchanting ceramic print. 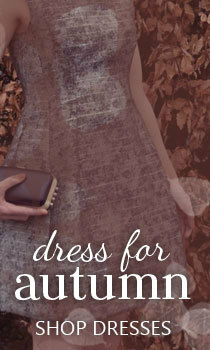 The classic style and sh..
Our popular combined lace dress is very simple, lightweight and perfect for all seasons. This sty.. This floral printed dress is made from luxurious silk with a beautiful and very fresh floral print. .. This beautiful floral print silk dress will instantly add a touch of freshness to your wardrobe. ..